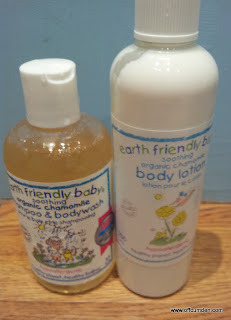 I was asked to try out the earth friendly baby chamomile soothing body lotion, and the chamomile shampoo and bodywash. We tried the shampoo out on our willing participants. 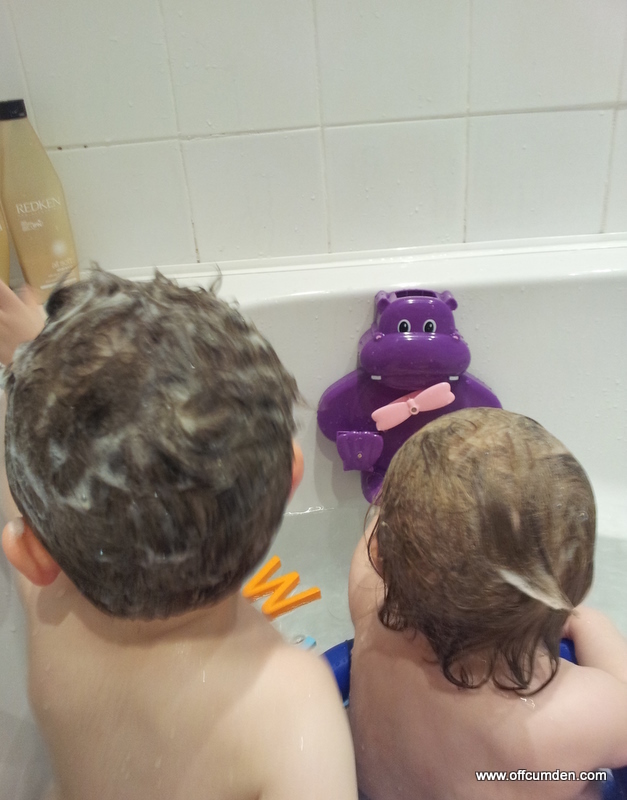 It lathered up nicely, smelt good and left their hair looking clean and shiny. My son suffers from bad cradle cap (at nearly three I'm not sure you can still call it cradle cap) and this seemed to ease his itching! The great thing about this is that it is a bodywash too - so there's no need to use soap or another product, you can just add a splodge of this and use it to clean them. A little of the chamomile body lotion goes a long way. Literally one squirt was enough to massage into my daughter and leave her skin feeling soft. It wasn't sticky, like so many lotions, and it rubbed in easily. Also, I didn't feel like I needed to wash my hands after I had massaged her. 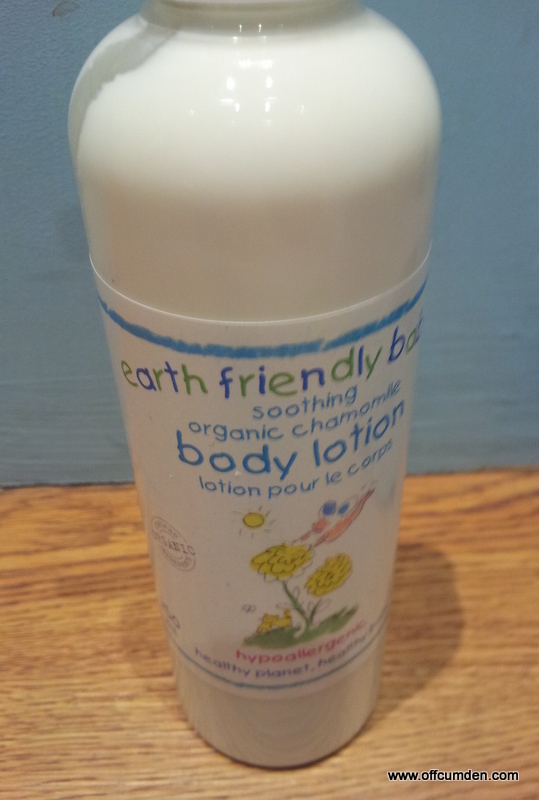 The lotion smells wonderful and would last a really long time given how little you need to use. It also includes shea butter, for added moisture. Both products are organic. You know that no harmful chemicals are used when you use them on your child. 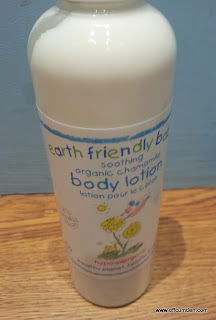 Earth friendly baby's claim is that their products are natural, which means that they use ingredients that are plant-derived where possible and biodegradable. They do not use artificial colouring or synthetic fragrances. 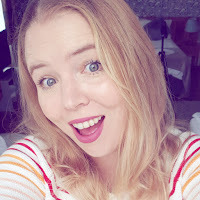 No parabens or sodium lauryl/laureth sulphate are used. The products are not tested on animals, and all products are suitable for vegetarians. All the products are also suitable for vegans except for those who do not use beeswax which is found in the creams. I would highly recommend both of these products, they are natural, smell good and do the job they are intended for. What more could you ask of a product? Disclaimer: I was sent this product to review and was allowed to keep it. This in no way had any effect on the review. I will always write honestly about a product.